Toe and Heel Design that does not interfere with the pendulum swing. 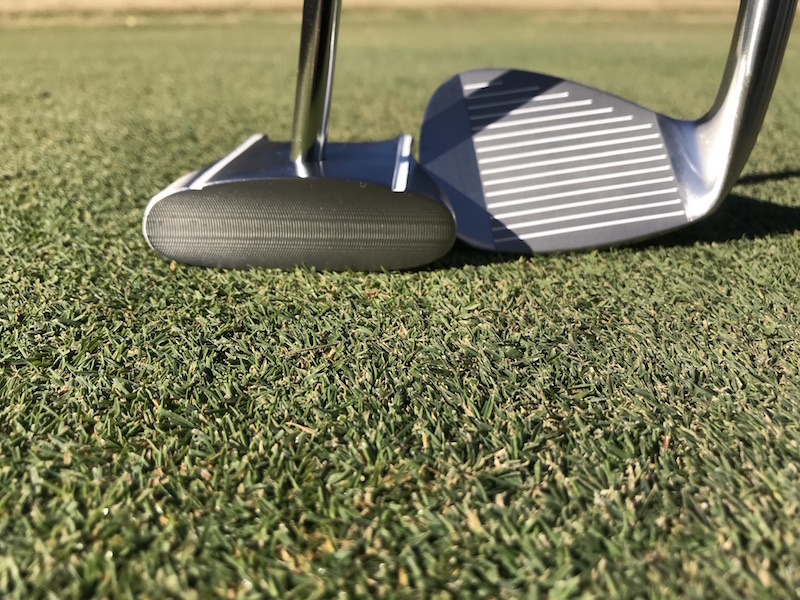 The main objective of a putter to be used for face putting is twofold: to allow the alignment of the ball with the target line and to allow the stroke to initiate a straight, smooth roll of the golf ball. 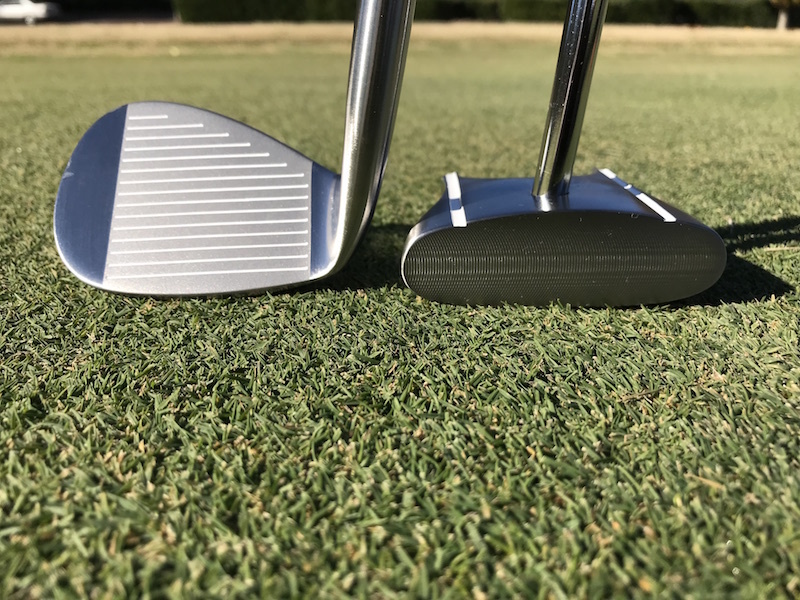 Most of the mass of the Face On putter head is concentrated behind the sweet spot of the head, allowing the perfect alignment for the perfect stroke. You make the long putts, you make the short putts, and you avoid the dreaded three-putt. 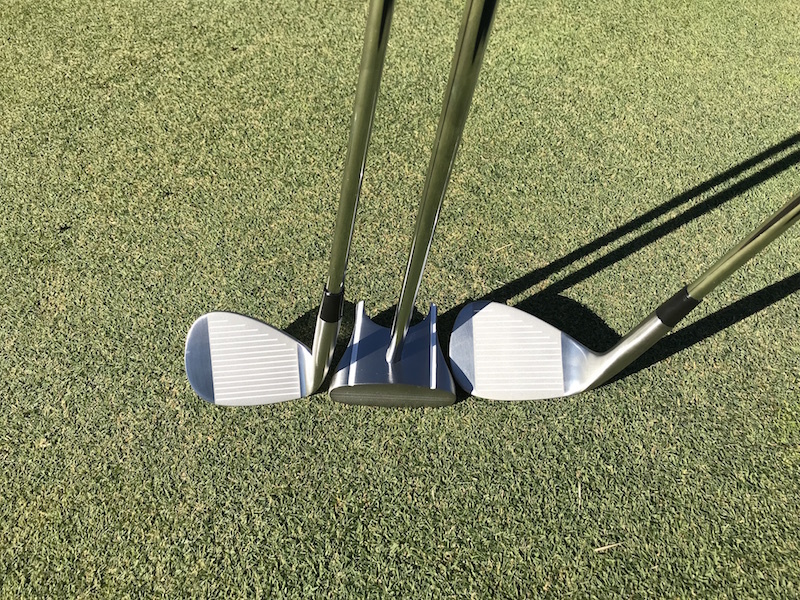 Available in left-handed or right-handed versions, the USGA-conforming Face On putter, alone among all the putters for sale that involve face putting, is the ultimate in golf game improvement. Awkward stances or difficult positions are no problem for the golfer with a Face On putter who has done his putter review, learned the secrets of Face On putting and now knows how to putt using the Face On techniques. Send it back at anytime within the next 30 days and we will refund your payment. (less shipping and handling and a 19% restocking fee). 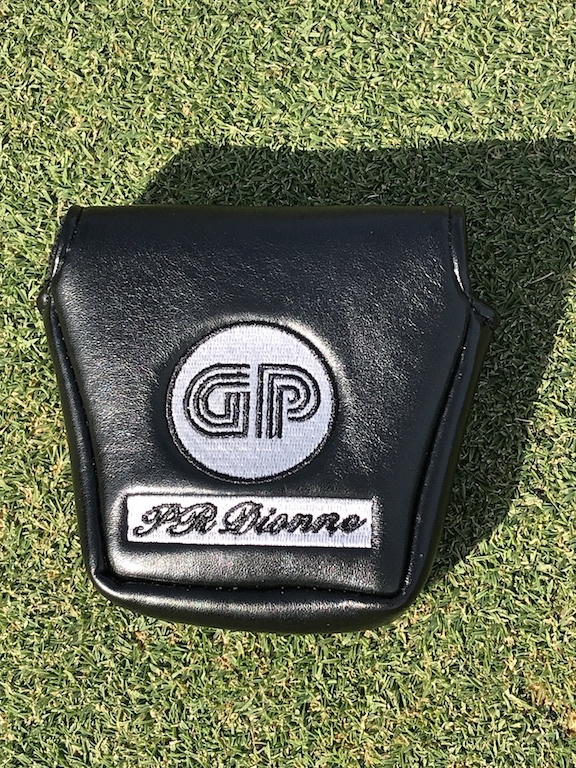 Basic setup for the face on putting stroke with the GP putter from Patrice Dionne on Vimeo. If you are still putting your golf ball the old way, then you are already behind the times. The new method which is now sanctioned by the USGA is face-on putting. This method is much more effective in holing putts. Many golfers have improved their game because of it. You can be one of its adherents if you will give it a try. The basic reason why the old stance was developed is to give torque to your stroke. Torque is a force that will propel your ball the way you want it to go. It will provide the needed velocity and power so that your golf ball will reach its destination. But since you are only putting the ball from a short distance to the hole, you don’t need that much torque. It is very seldom that golfers putt the ball over a 150 foot distance. If you want to win a round of golf with your buddies, you have to leave the old ways to them. With the side saddle method, your accuracy will reach new heights. The reason is that you can see directly through the line leading to the hole. You don’t have to shift your gaze from the ball to the hole several times, which is really tiring at times. Since you are squarely facing the hole, you can plot the line where your ball will roll. In effect, you are eliminating unnecessary movements, making you less tired and enabling you to putt more accurately. It is more like a pendulum motion where you just allow the backward and forward stroke in a perfect line the line which is going straight to the hole. Since you are moving your putter like a pendulum, it will be best if you will use a long putter. 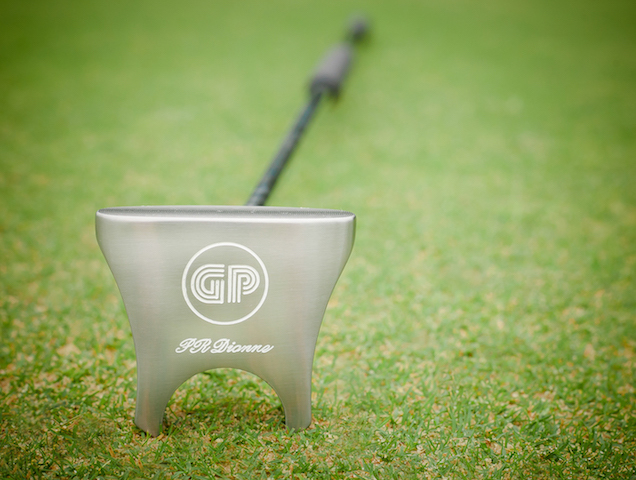 There are many such putters available in the market, one of which is the GP Putter. This face-on putter conforms with the recent USGA rules therefore; therefore every putt that you hole will be counted. Many players are now using this method because for them, winning is more important than abiding by old techniques and long standing traditions that now may be out of date. Successfully putting the golf ball does not need too much power and velocity. What you need more importantly, is a clear and definite line where you can direct the ball into the hole. You utilize the side saddle putting technique which is another name for face on putting. These terms mean that you are square facing the hole. When you have correctly read the green, you only need to apply the right amount of force or power to roll the golf ball into its hole. 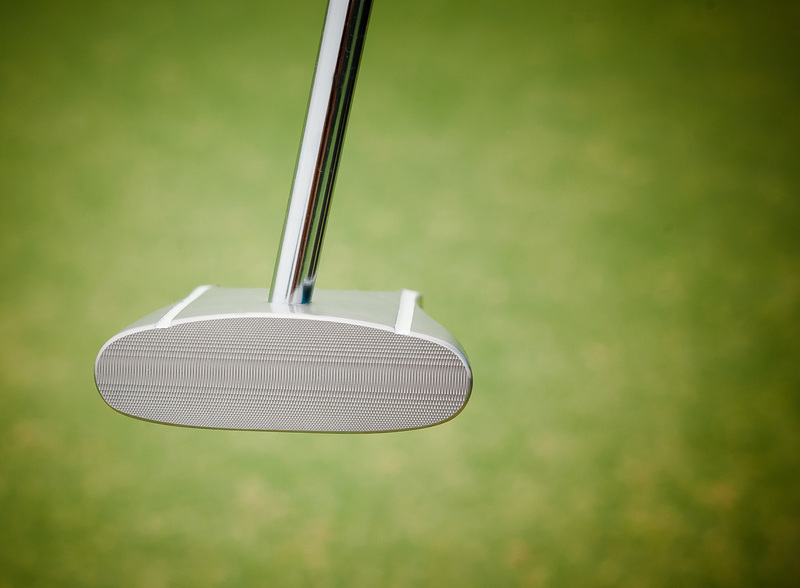 Putter reviews enable the professional golfer, or simply a golfer practicing the sport as a hobby, to choose the appropriate putter to seal a fine round of golf and to learn new techniques. You do not want to be wasting time and risk losing a game by missing the hole on your final putt. They are posted online and in golfing magazines, and so are accessible to golfers of all calibers, from professionals to amateurs. They can become the ultimate learning resource for a golfer, especially with new moves and techniques designed to improve your game. The first thing to look out for when reading reviews online is the source of the review. Who has written it? From which website does it originate? You should also see if the website contains a forum, enabling golf enthusiasts to share opinions on them contained in the webpage. Make use of new media available on the internet designed to facilitate learning, such as videos and podcasts. These can be a valuable source of information, as there are many of us who learn better by watching and listening rather than reading. 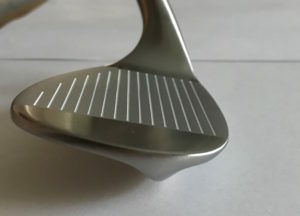 When searching for the ultimate putter, a review accompanied by a good photograph along with dimensions can define its quality. Another quality to look for when reading any reviews is feedback that may have been left by other readers. If the feedback consists of irrelevant jargon then perhaps this is not the optimum learning tool. 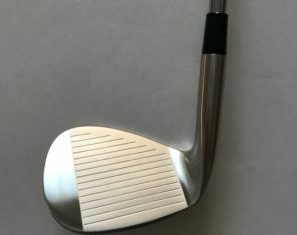 If it is constructive then you can be sure that what you are reading will help you purchase the right putter for you, and teach you how to polish up a fine round of golf. When reading putter reviews in search of the latest equipment available, look for where and when this will be on sale. This will tell you where you would have to travel to buy the equipment, and in the case of it being a present for someone, whether it will be on sale on time. With reviews found in magazines and other printed literature, you can be pretty much certain that it is from a credible source. Otherwise the magazine would no longer be in print. However, as with reviews posted online, it would be good to find out who wrote the review. Is it a well-known golfer? Is it someone who often writes reviews for this publication? Also, it would be wise to check online versions of the magazine. Is there much feedback on what is written? In general, good putter reviews will be to the point and easy to understand, with as little jargon as possible bearing in mind that it can be read by audiences with varying knowledge of the game. It will be a review that is easily remembered, and that can be referred back to if need be. After all, reviews have been written to improve your game and make sure that you are up to date with the latest equipment available.